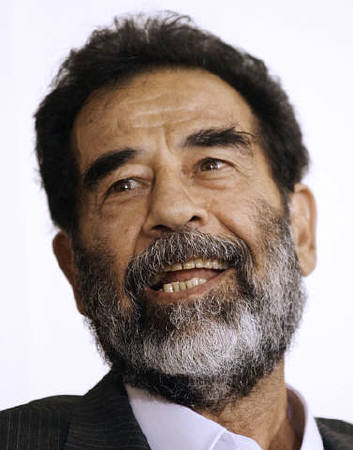 "We sacrifice our souls and blood for you, Saddam"
We all love Saddam Hussein!" "We reject the American and Iranian constitution"
"No to a constitution that breaks up Iraq"
"Shame on the backwardness of Arab princes and agents who have let foreign dogs run all over them," another man shouted. "If words don't work, we know how to deal with the occupiers and cowardly agents,"
he said, meaning the United States and Iran. into a full-scale sectarian civil war.